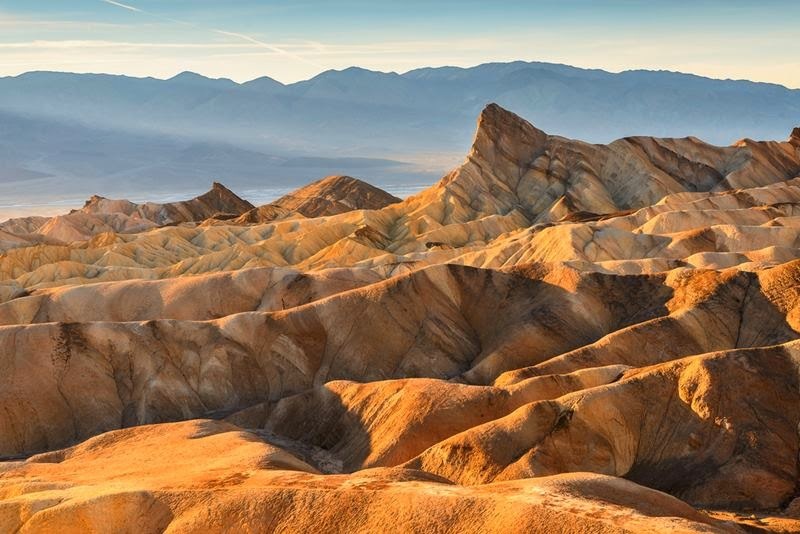 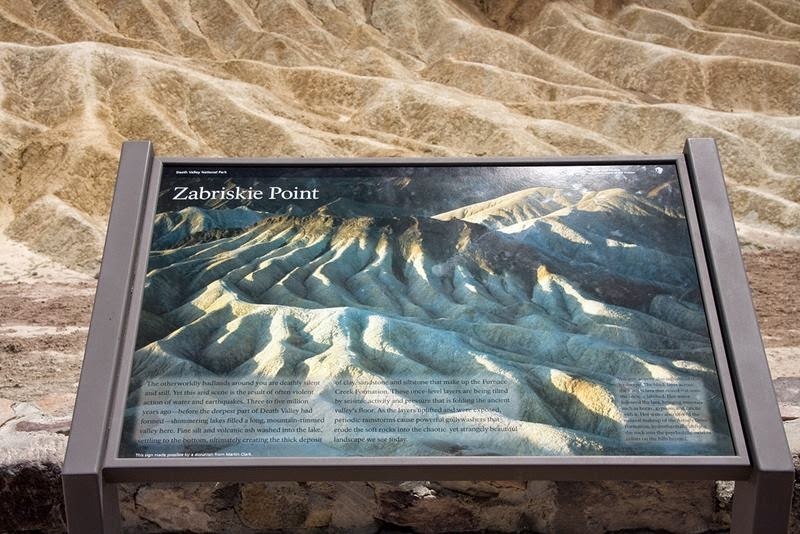 Zabriskie Point is a part of Amargosa Range located east of Death Valley in Death Valley National Park in California, United States noted for its erosional landscape. 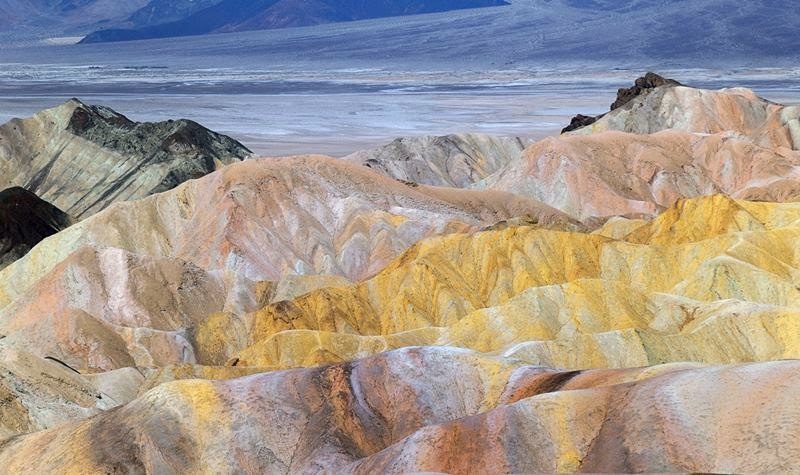 It is composed of sediments from Furnace Creek Lake, which dried up five million years ago—long before Death Valley came into existence. 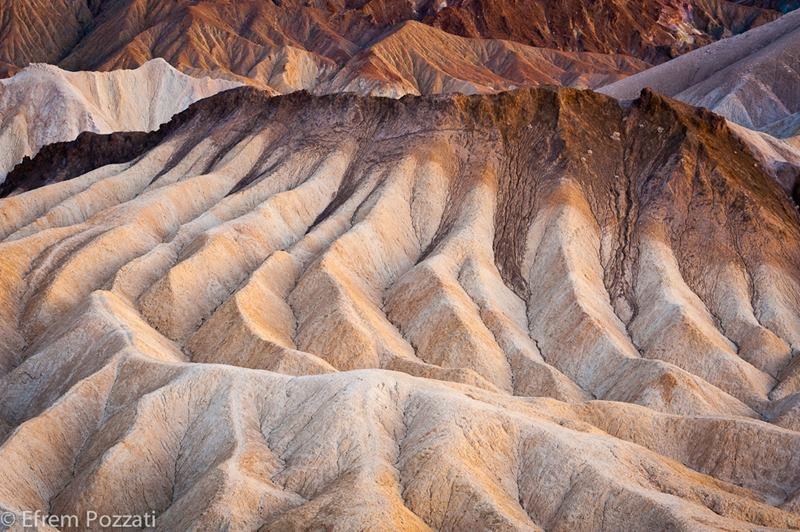 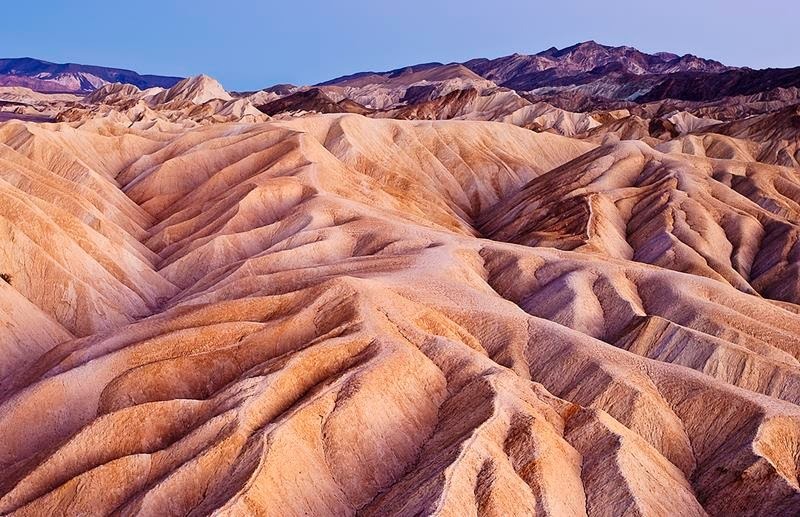 Death Valley National Park is located east of the Sierra Nevada Mountain Range. 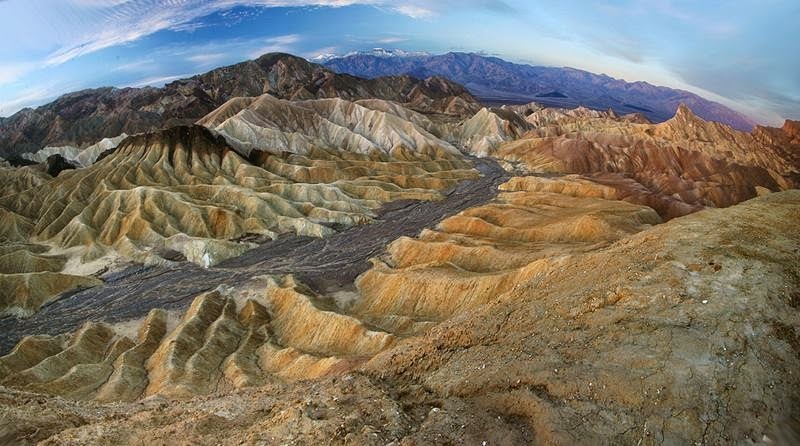 It is home to the lowest point in North America at Badwater, which is 282 feet below sea level, but also encompasses parts of several mountain ranges. 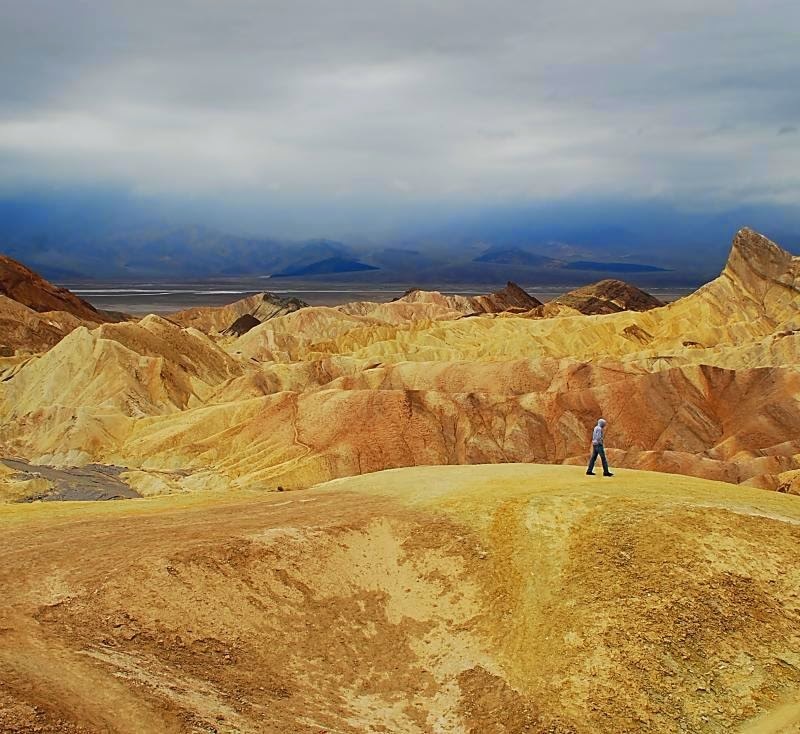 Its highest point is Telescope Peak, at 11,049 feet. 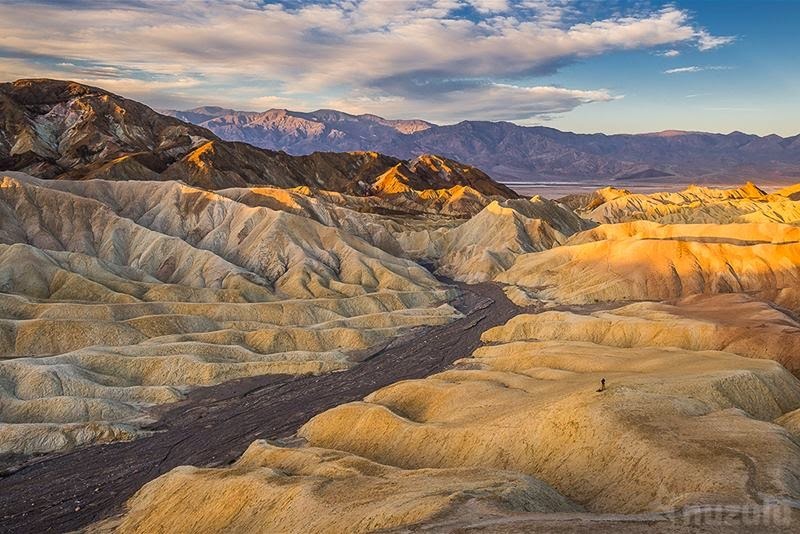 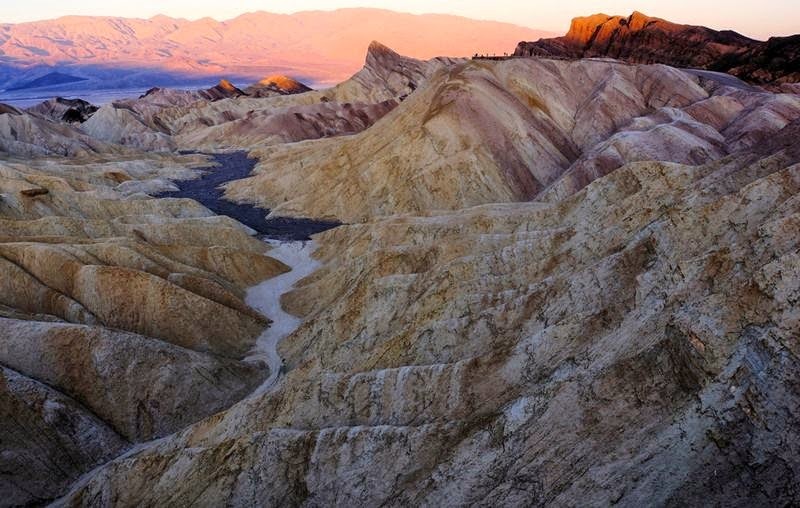 Located in an rainshadow exaggerated by the presence of four major mountain ranges between it and the ocean, Death Valley receives less than two inches of rainfall a year and is famous as one of the hottest and driest place in North America. 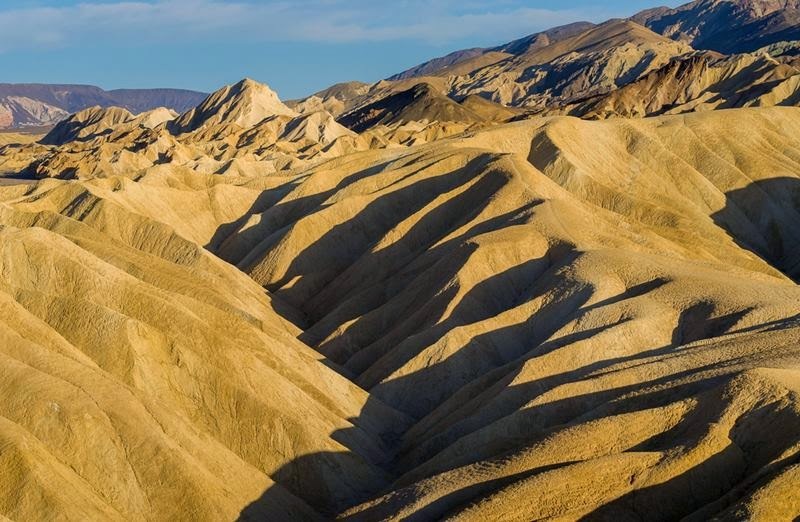 Summer temperatures often hover around 120 degrees Fahrenheit.